Gov. Bruce Rauner. Rauner will go head-to-head with Democrat J.B. Pritzker in November’s general election en route to a second term. Incumbent Bruce Rauner survived a scare from challenger Jeanne Ives to win the Republican gubernatorial primary, taking just over 51 percent of the vote on Tuesday. Rauner and Lt. Gov. Evelyn Sanguinetti will face off against the Democratic ticket of J.B. Pritzker and Juliana Stratton in the November general election. As votes came in, Ives only trailed Rauner by a slim margin despite running a controversial campaign ad in February. 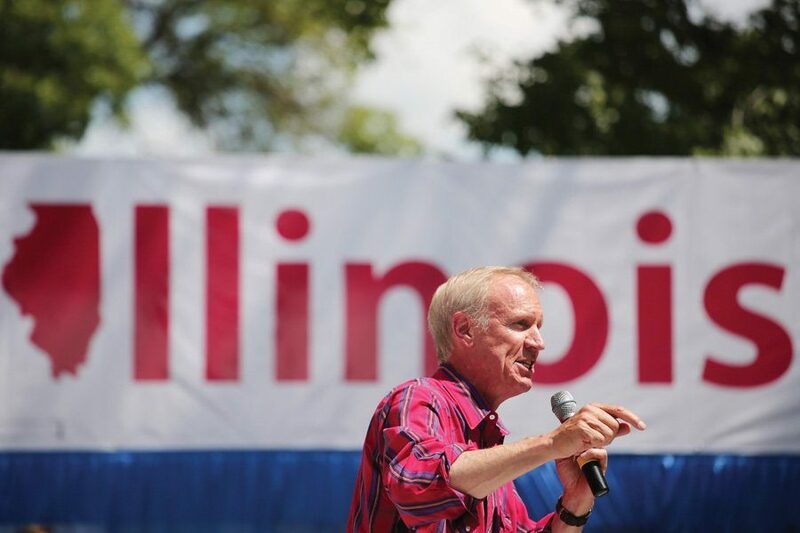 In spite of Ives’ surprising results, Rauner will seek to extend his time in office for another four years following a rocky first term in office. After Rauner took office in 2015, Illinois entered a budget impasse, in which the state operated without a budget for more than two years. The state succeed in passing a budget only after the Democratic-controlled state House of Representatives overrode Rauner’s veto last summer. When he first announced his re-election campaign, however, Rauner was considered a popular candidate with conservatives. But after brokering a deal to fund teacher pensions in Chicago, restricting the police’s ability to detain undocumented immigrants and backing a bill to expand public funding of abortions, his approval among staunch Republicans dropped. Ives, a state representative of five years, ran a campaign based on what she said included returning power to Illinois citizens, capping property taxes and repealing the income tax hike and Illinois’ so-called “sanctuary state” status. Although her campaign is now over, Ives lauded its grassroots qualities in her concession speech.